So here we are. The last episode before the season finale. One would expect that it’d be brimming with an exciting case, giving us some hints of what to expect in the finale, and making some references to things that have happened already this season. Well, um...one out of the three, at least? We do get a bit more mention this episode of Rossi’s struggle to move past the events of “Chameleon”, and his determination to hunt down Everett Lynch, and it leads to some good moments between him and Emily. But that’s about it. Otherwise, we spent much of the episode dealing with a frustratingly hollow case, whose premise was intriguing, but which didn’t quite gel the way it should’ve. We probably would’ve been better off had the entire episode focused solely on Rossi’s obsession with the Lynch case, as that could’ve provided a good buildup to whatever could happen in the season finale that can carry the Lynch story over to season fifteen. The weird, flimsy nature of the case this episode was all the more disappointing coming off the heels of two very good episodes. That being said, however, maybe there is something to be said for having a little calm before the craziness that is always a “Criminal Minds” finale. And despite the many issues I had with the case, the episode in general still provided a few nice moments – Rossi bonding with a notable character in the case, a few creepy visuals, and some entertaining team moments. So it wasn’t a total bust. And on that note, time to get into discussing the case! A woman named Kim is talking to her sister Annie on the phone. They’re talking about Annie’s new baby, and Kim tells Annie how happy she is for her. The slight wobble in her voice as she says this, however, combined with an empty crib in the background and Annie saying “I’m sorry this happened”, indicates Kim’s putting on a brave front. Something tragic obviously recently happened with her in regards to a baby, and seeing somebody else celebrating theirs is clearly dredging up some painful memories. Still, Kim does seem genuine in her attempts to focus on the good news regarding her sister, and soon after, their phone call ends. Before she can reflect on the call, her own struggles, or hell, do anything else that night, however, she’s startled by the appearance of a creepy shadowy stranger breaking into her home. Kim runs to the nearest room to hide, locking the door, but her efforts are unfortunately for naught. The unsub, who we now see is wearing a weird white and black mask, forces the door open, and attacks. As the team soon learns, Kim is the second of two women to be murdered within the past week. The other woman was named Linda, and there’s a few similarities between them. There’s the manner of death – both attacked in the head, and each stabbed twenty-two times. And neither of them were pregnant or had children. The main difference is that Linda was single, while Kim was married. The unsub seemed to have a pretty easy time getting into their homes, too, which is another detail the team will need to look into. They’re back down to seven members this go-round, as Reid’s off teaching again (and apparently hard to reach for the moment), but they’ve made it work before, after all, so with that, they head out to Lewiston. On the flight out to Maine, Garcia tells them of the latest murder, this one involving a couple, Carly and Brad. As we viewers saw, Carly’s husband Brad had shooed his wife away from the dishes, offering to lend a hand and finish them up. Once that was done, he encountered the unsub in the hall, who stabbed him before heading off to find Carly in the bedroom. Carly’s death was similar to that of Linda and Kim’s, with the twenty-two stab wounds. Why twenty-two specifically? Well, that’s yet another mystery for the team to figure out. But why did the unsub kill Brad? Were they changing up their methods? Eh, no. Looks more like he was just in the wrong place at the wrong time. In order for the unsub to get to Carly, he had to be disposed of first. These women appear to be the unsub’s main target, and they’re all around the same age to boot, indicating our unsub has a type. At the station, Emily and Luke interview Kim’s husband, and that’s when we learn the backstory behind her emotional reaction to her sister’s new baby. Apparently, Kim had really wanted kids, and did eventually get pregnant. She and her husband started setting up the nursery the day after getting the joyous news...but tragically, Kim soon suffered a miscarriage. Meanwhile, Annie’s new baby Kim was trying to be happy about? It’s her third. Ouch. The stress of the miscarriage lead to a lot of fights between Kim and her husband, and things got even more strange and tense when Kim started talking about weird noises In their house. She never saw anyone lurking about, but she kept insisting she could hear footsteps. With this information, the team’s starting to wonder if perhaps the unsub was hiding away somewhere in their home prior to the attack, which is horrifying on so many levels. But it would easily explain how they were able to make their way into their victims’ homes with ease, and how they picked their targets. Kim’s husband feels immense guilt over not believing his wife, and not doing more to stop this creep beforehand. Meanwhile, JJ and Tara are looking around Carly and Brad’s house when a woman shows up on the scene. Her name is Courtney, and she’s very curious about what’s happened at this house. She claims to be a “lore expert” and blogger, fascinated by the violent history of homes in the area, and tells them about a murder-suicide had happened there six years before, in which a husband killed his wife and then himself. She’s convinced the place is haunted, and believes a similar tragedy happened this time. And indeed, as JJ and Tara explore the bedroom, they find salt sprinkled around the corners. Salt, as anyone who’s interested in the paranormal knows, is used to ward off evil spirits. 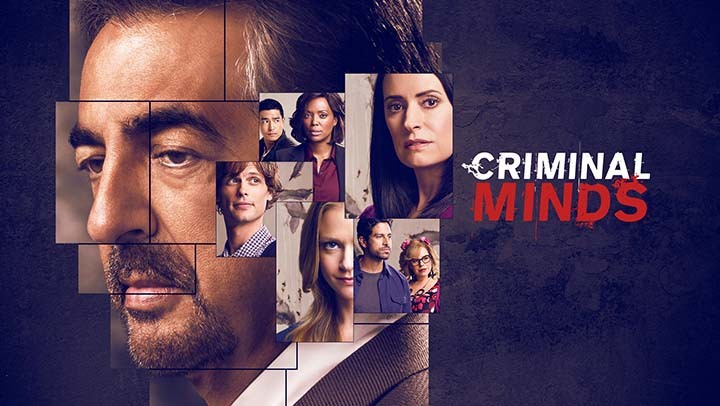 Courtney’s appearance so soon after these murders, as well as her intense interest in the disturbing crime scene, naturally makes JJ and Tara very suspicious, and Garcia decides to dig a little deeper into her past. Seems Linda and Kim’s homes were two of many in the area that had a history of violent deaths in their past, and Courtney blogs about and likes to investigate these supposed “haunted homes” for a living. That’s certainly a good way to develop some familiarity with these places ahead of time. She also has her own violent history, as she was fired from her job after an outburst against her boss. Definitely somebody the team should talk to a little further. Before they can do so, however, they get word about yet another murder. A woman named Natasha is found dead in her bedroom. She’d heard the water running in the bathroom, went to investigate it upon realizing her daughter wasn’t responsible for the noise, and the unsub had been waiting for her there. Natasha’s daughter Michelle was the one who’d called 911, and she, thankfully, is alive, though obviously very traumatized by what she saw. Another person who happened to be in the home at the time of the murder? Courtney. More specifically, she was found in the room with Natasha’s body, and has her blood on her hands. She’s immediately brought down to the station, where Rossi interviews her. Courtney insists that she didn’t kill Natasha. She just happened to be lucky enough to guess the unsub’s next target, and wanted to be there to try and help stop them and save Natasha ahead of time. She also mentions that a person was murdered in their tub in that house ten years ago, which explains the unsub’s unusual hiding place. Rossi, naturally, is skeptical of this defense, and tells Courtney point blank that her sketchy history does make it pretty easy to suspect her. Courtney doesn’t exactly deny that it all looks bad. But Rossi is willing to admit that just because she seems guilty doesn’t mean she is, so he asks her to tell him everything she knows. Courtney’s claims of innocence also get a boost when Michelle tells Tara that while hiding, she saw the unsub remove their mask at one point. The unsub is a woman...but when Tara asks Michelle if Courtney was the woman she saw, she says no. That seems to be enough to prove Courtney had nothing to do with this, and Rossi lets her leave. So the unsub is a woman killing other women. But why? Since none of them were pregnant, and only Natasha had a child, issues with children, or lack thereof, obviously can’t be the reason for this crime spree. It doesn’t seem like the unsub was trying to seek revenge for any romantic reasons, either, as Brad was the only man she’s killed. Given the creepy histories surrounding the homes where these murders have occurred, though, and the stuff the unsub leaves behind to “ward off spirits”, the team concludes that the women aren’t the unsub’s focus. Rather, the houses are what hold her interest. Perhaps she believes she’s “saving” these victims somehow. An unusual motive, to be sure, but hey, lord knows these guys have certainly dealt with weirder situations. Garcia looks through a compiled list of local paranormal investigators and lore bloggers, as the team believes their unsub may be in Courtney’s line of work or share her interests, and zeroes in on a woman named Stephanie Carter. She’s a professor of religious studies, and her husband, Patrick, is a psych professor. Stephanie often wrote about the subject of demonology and its hold on the human body and how to get rid of said demons. Also, she seems to fit Michelle’s description of the unsub. Hmmm. Soon after, we meet Stephanie herself. Courtney seems to know her quite well, and starts talking to her about the current case, and the fact she was briefly accused of being the killer. Stephanie changes the subject at this point, talking about an empty house that she and Patrick had recently tried to cleanse. Their efforts didn’t seem to work, however, so Stephanie suggests they, along with Patrick, head out there to give it another go. And there go the alarm bells. Like all the other homes in the area, this empty house has its own horrible story. Seventy years prior, a woman went mad one night and proceeded to stab each and every member of her family to death in the bedroom. The place has been rumored to be haunted by her ever since, and in the eighties, a couple supposedly moved into the home, only to suffer a similar fate when the wife stabbed her husband, and then herself. Courtney gets the details about the stabbings wrong, though – as Stephanie notes, in the original family massacre, each person was stabbed twenty-two times. Okay, now those alarm bells have switched to loud, blaring sirens. Courtney should be getting the hell out of there, but she’s too busy talking about the “energy” in this house to realize she’s in serious danger. Back at the station, the team is learning more about Stephanie’s life (which is no small feat, considering she and Patrick tend to live off the grid for the most part). It seems she’s had a few struggles of her own. She was a good student in school, but she also had a rough childhood, involving being horribly bullied by her classmates for years. One day, when she was in high school, Stephanie got fed up with the bullying and fought back once and for all. She got the bullies to back off, but there was a price for her bravery. She got expelled from school, and that kickstarted a nasty downward spiral for her. She soon became addicted to prescription meds, and ultimately had a mental breakdown that put her in therapy. Things changed dramatically, however, when she met Patrick five years ago. She stopped therapy, stopped her medication cold, and rebuilt her life. Curious. Luke decides to look up more information on Patrick, to see what role he had in her abrupt change, but strangely, his activity seems to have stopped fairly recently. Like, within the past week. The last thing he wrote about in his journals was him and Stephanie planning to investigate this spooky house – but there’s no further write-ups on that investigation. At said house, Stephanie tells Courtney that she’s going to take a moment to talk to Patrick alone, so they can figure out what their game plan will be going forward. If you predicted at this point that Patrick isn’t actually there, however, congratulations, you guessed right, as we soon see Stephanie talking to an apparition. She believes Courtney’s been “infected” by the demons, and bringing her here can help stop the spread of this infection. Courtney enters the room at this point, having grown impatient, and that’s when she makes the same realization we did. “Patrick” tells Stephanie at this point that she must kill Courtney, as she’s too far gone and needs to be saved, and Stephanie attacks, trying to stab Courtney. She does manage to injure her a couple times, but Courtney’s not going down without a fight, and a wrestling match ensues between them. The team arrives around this time, and Rossi finds Courtney tied to a bed, with Stephanie about ready to deal the fatal blow. Before she can do so, however, Rossi shoots and kills her, and Courtney is rescued. As for Patrick? His body was discovered by Courtney on the floor nearby when she first tried to get away from Stephanie. He was stabbed to death, just like all the others. Before Courtney is loaded into the ambulance, Rossi takes a moment to talk with her. Courtney reveals that the main reason she got into her interest in the paranormal was because of her twin sister’s death in a car accident when they were eight years old. Her job gives her hope that she’ll see her sister again. Rossi sympathizes with her pain, and encourages her to keep doing what she does. The sympathy isn’t one-sided, either, as Courtney can clearly see Rossi’s haunted by something, or someone, as well. With that, the two part ways. On the plane ride home, the team discusses the possibility that the BAU’s haunted. Rossi believes that it is (though he can’t prove it), and Luke backs him up, but JJ and Tara are skeptical, with JJ going so far as to mock the idea of noticing ectoplasm in the fridge (which Rossi jokes is actually Reid’s leftover food. Ha). Matt seems to share their skepticism. Emily, meanwhile, admits to occasionally getting the feeling of being watched at the office after they have creepy cases. So it’s divided three to three. IF Garcia and Reid’s input was added in, however, I think the “believers” side would ultimately win. Such a weird, kinda meh case for the last episode before the season finale. I loved the premise – the idea of an unsub being inspired by supposedly haunted homes is a good one, and setting it in a part of the country whose history can date back to at least the 1700s is a perfect choice, because think of all the dark and shady history they could reference and want to emulate. And yet, there wasn’t a whole lot done with the concept. The victims died in a manner similar to that of the people who lived in the houses before, but there wasn’t any deeper connection made than that. I think the concept would’ve worked better (and been much scarier, for that matter) if Stephanie had found a way to manipulate the victims into replicating the murders themselves. Or maybe we could’ve seen a couple examples of Stephanie freaking her potential victims out while she lurked in their homes prior to killing them. Something to give us a little build up and make the whole ghost connection a little more concrete. Or heck, they could’ve had it where Stephanie thought Courtney was a threat to her line of work, which is where I initially suspected they were going when we first saw the two women interacting, and was committing these murders only to try framing her somehow. But since they went with the idea that Stephanie’s delusions about Patrick and people being infected by demons were her main motive, again, I would’ve liked a little more of a nod to that somehow. They could’ve found some way to keep Stephanie in shadow while still showing us that she’s just as haunted by her own demons, and how that affected her view of these homes with dark pasts, and the people who lived in them. Perhaps she was traumatized by what she believed to be demons haunting her home when she was a child or something, and that could’ve sparked her obsession with the issue. I also would’ve liked to learn more about Patrick, and Stephanie’s life with him, and how he affected her beliefs as well. The glimpse of him that we saw seemed to imply he was a controlling personality, but since we only saw him as Stephanie’s delusion, it’s hard to tell if that’s how he really was or not. They didn’t even explain why Stephanie used a mask (there’s the obvious reason, of course – she didn’t want to be seen – but a) she removed it at some point and b) on this show, people’s reasons for wearing masks are never just that simple), or why the number twenty-two was so important to her. Yeah. I dunno. It just seemed like the case ended with no real deeper explanation behind Stephanie’s motives, to the point where it might’ve been better if they’d removed the haunted house aspect altogether and had her just targeting these women for some other, more earthly reason. Granted, I know that in the real world, there’s plenty of cases where you never get an answer to the “why” of it all, but on a show that likes to explore why criminals behave the way they do and why they are the way they are, you naturally expect a little more focus on that part of things. On the plus side, I did like Courtney herself – I liked how she went from initial suspect to sympathetic figure, and the connection she and Rossi had, while brief, was sweet. She even had a more interesting motive for why she did her work than Stephanie did for her crimes! And there were a couple genuinely creepy moments here and there when Stephanie broke into both Kim’s home as well as Brad and Carly’s place. And I liked the discussion among the team at the end as well, both because it was fun to hear their respective views, all of which felt true to their characters, and also because it’s always nice when the team gets to have a lighthearted bit of downtime after a case. I can’t help wondering, though, if Emily’s comment about feeling watched at work is meant to be some kind of foreshadowing, especially given this Lynch case that’s clearly going to be hanging over the team’s heads going into next season. Whether it is or not, I don’t blame Emily for having that feeling. Just look at how many unsubs have stalked this team over the years. How can they not get to a point where you feel a little paranoid? Speaking of the Lynch case, as noted, we got another mention of it this episode, brief though it was. Let’s see how Rossi’s continuing to fare in the aftermath of Lynch’s attack and escape. Before the team gets the Lewiston case, Rossi stops in to see Emily. That wouldn’t be so unusual, except it’s midnight when he shows up, and as Emily well knows by now, team members don’t meet up in the office late at night for the hell of it. And sure enough, Rossi’s got a deeper reason for the visit: the case file on Everett Lynch. He’s been obsessing over him, and he’s not even trying to hide that fact. Grace hasn’t even offered up much in the way of information. Emily certainly understands his obsession – she’s been there herself, after all. But she warns him to tread lightly with his research regarding this case, lest he stress himself out further or risk screwing up the case. The only thing she can do right now is reassure him that they will eventually catch Lynch, and while that clearly doesn’t stop Rossi’s restlessness, he does trust her assurances and agrees to slow down a bit. Emily checks in with Rossi again on the trip home, and compliments him on a job well done, making the same assurances from before about solving the Lynch case. Like I said, it was a brief mention. But I do like the continuity, and it’s always interesting to see how Rossi deals with his obsession regarding a particular case or unsub (see “Damaged” and Tommy Yates for other notable examples). I also like how he comes to Emily to talk this stuff out, and not just because she’s his boss. He knows she’ll understand, perhaps better than anyone else, save Hotch, why he can’t let this case and this unsub go. She’s been there herself. She gets it. At the same time, I also like that Emily has clearly learned from her own experience in being haunted by a particular case, a particular unsub, and makes a point of warning Rossi to be careful. One could see her “We’ll get him” assurances as mere platitudes, but she’s certainly not the first team member to make that promise (hell, Rossi’s made that exact same promise to other team members before himself. Remember how he tried to encourage Hotch when Foyet was on the loose?). So he knows that she’s coming from a sincere place with her attempts to reassure him. Of course, as we all know with this show, Rossi’s promise that he’ll be careful is one to be wary about – it’s another familiar refrain among these people, after all, and we’ve seen how well they’ve stuck to that promise over the years. But we do also know that if and when Rossi does go all out in hunting down Lynch, he definitely won’t be alone, and hopefully, his efforts, as well as those of the team, will not wind up being in vain. And with that, we are at the season finale! To nobody’s surprise, it looks like it’ll be a doozy, but I’m excited to see how they wrap things up for the season. Hopefully you guys are as well. What did you think of the episode? Did the case work for you, or did it fall a bit flat? What did you think of Courtney? Do you agree that the BAU is haunted, or do you share JJ, Tara, and Matt’s skepticism? How long do you think it’ll be before Rossi goes rogue to hunt down Lynch? Are you ready for the season finale? Share your thoughts in the comments!